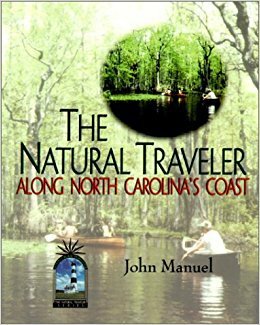 The Natural Traveler Along North Carolina's Coast (John Blair) is a 304 page guidebook that serves as both a primer to coastal ecology and a guide to the natural and historic sites found on North Carolina’s Outer Banks and Sound Country. This guide stands out for its detailed information on flora and fauna, with special attention given to favorite paddling destinations such as Merchants Millpond, the Roanoke, White Oak and Waccamaw Rivers. John includes details on selected lodging and restaurants. Available from the author for $10. See Contact section.